We met 15 years ago when we were just 16 years old. We had mutual friends and got together as soon as we met! What is the most romantic gesture he/ she has made? The most romantic gesture paddy made was the eternity ring he gave me when we had our first child. 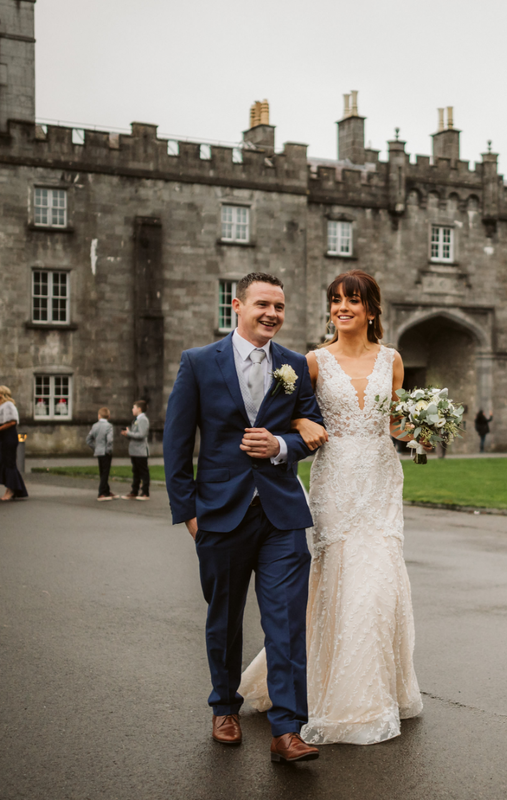 Why did you choose Newpark Hotel for your wedding? We went we see newpark during their wedding fair at Christmas 2016 and we were blown away by how beautiful they had it decorated. The moment you walk through the door the hotel is beautiful and the staff look after the guests so well. We also knew of the fantastic reputation newpark have especially for food. Looking back now is there anything you would change about your wedding? There isn't a single thing I would change. Matt The Millers Kilkenny-Very Romantic. How long did you spend planning your wedding? Do you feel you had too much or too little time? Why did you choose Newpark Hotel for your wedding day? My sister got married in the Newpark 10 years ago. I have always enjoyed weddings/events in the Newpark Hotel and have always found the staff to be very courteous and professional. The Newpark is always so well presented and really make a huge effort a Christmas-The décor is amazing hence why we booked our wedding for the Newpark at Christmas time-So festive!. What is your top tip for newly engaged couples? Enjoy this special time and don’t get too stressed about it. Everything will work out on the day! Once you’re married you will be wishing you could of done it all over again so make the most of this time now! Did you have any supplier who went above and beyond what you expected? What is your favourite memory from your day? We met on a night out in Waterford for a mutual friend’s birthday. It wasn’t love at first sight ( or second or third!) but after a slow start we accelerated dramatically and were married within 22 months.. I moved in with him and told him my daddy wouldn’t be impressed with us living in sin!! I had never been to a wedding at the Newpark but Niall had and was very impressed. He’s not easily impressed. Once we went to see it, no where else came close. The new terrace really swung it for me. We’re both so glad we chose the Newpark, the effort and attention to detail was second to none, we were looked after so well and had a ball..